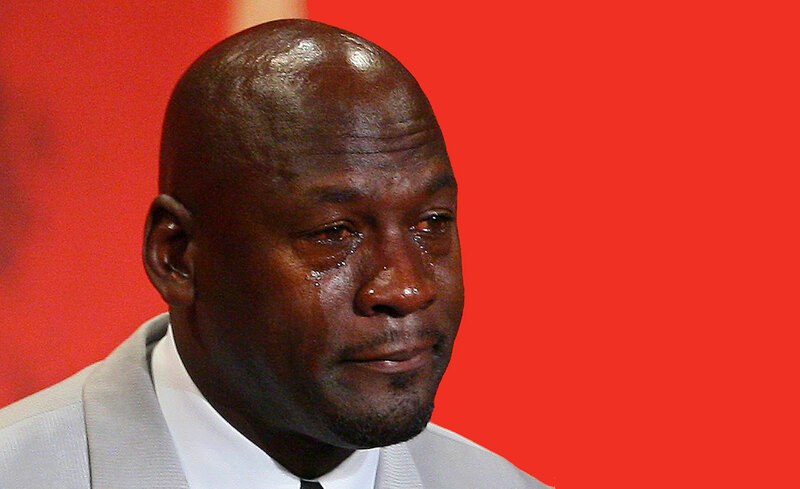 We’re sure most of you know Michael Jordan as one of the best basketball players of all time, but we wouldn’t be surprised if some clueless kid only knows him as “crying MJ.” Since the meme continues to enjoy immense popularity — and it’s not hard to see why — the president had to make sure people knew who Jordan was when he awarded the legendary athlete the Presidential Medal of Freedom. He’s “more than just a logo, more than just an internet meme,” the president jokingly said when he introduced the former Chicago Bulls player and Space Jam star. It’s been over a decade since his final retirement, after all, and twenty years since the film that co-starred Bugs Bunny. The Crying MJ meme uses a photo snapped by AP photographer Stephan Savoia during Jordan’s induction into the Basketball Hall of Fame in 2009. People started pasting the athlete’s tear-streaked face onto photos of other people in unfortunate situations, and the rest, as they say, is history. Besides MJ, a bunch of other people also received the Medal of Freedom, including female code pioneers Grace Hopper and Margaret Hamilton. Hopper’s work led to the English-like programming languages we know today, while Hamilton was a software engineer for the Apollo program and helped land humans on the the moon. Besides tech and space, Mariella also loves dogs, opera music, action movies, horror/detective fiction and J-pop.